At the gates of the Madonie Park and 4 km from the center of Cefalù and the most beautiful beaches of Mazzaforno and Settefrati. 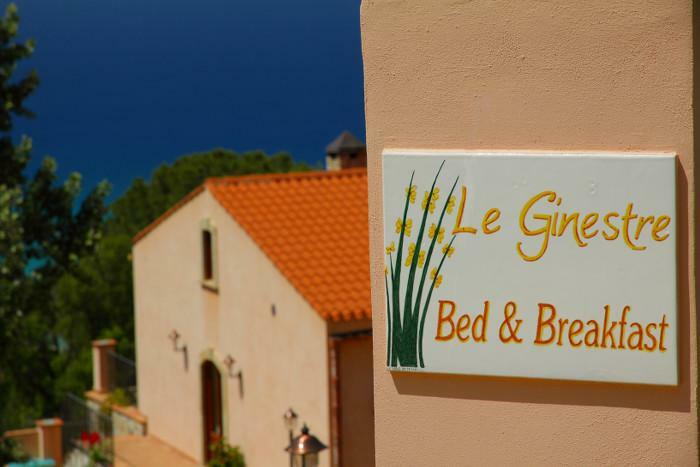 The B&B Le Ginestre is wonderfully located in the hills of Contrada Campella, just 4 km away from CefalÃ¹. Surrounded by beautiful pinewood forests, it is a relaxing place to reconnect your body and mind with nature. All rooms have a bathroom with shower and hairdryer, heating, ceiling fan, satellite TV and Wi-Fi. They also have an independent access from the common area, with its garden or terrace. You can have breakfast in the large garden terrace or in the comfortable and cozy common areas furnished with comfortable sofas. Quiet location. Car essential as a few miles from the centre of Cefalu; the approach to the property is via an unmade road, but the gradients are reasonable. Comfortable accommodation in a traditional building with attractive garden and stunning views towards the sea. Good breakfasts including home made cake. Our host made us feel welcome and lit the wood burning stove in the living room on a couple of cool nights. COPYRIGHT BY Le Ginestre B&B. All rights reserved.